The first Airbus helicopter assembled by the Chinese team in Germany has been delivered recently to Jimo district, Qingdao, Shandong province, which indicates that China will be able to produce H135 helicopters in Qingdao, said Wolfgang Schoder, Airbus Helicopters' executive vice president, at the Conference of Great Partner 2018 in Shandong on Sept 28. Additionally, Schoder spoke highly of Shandong's economic and social achievements in recent years and said that the province has impressed the participants at the Shanghai Cooperation Organization Summit and the Ministry of Foreign Affairs' promotion of Shandong activities. 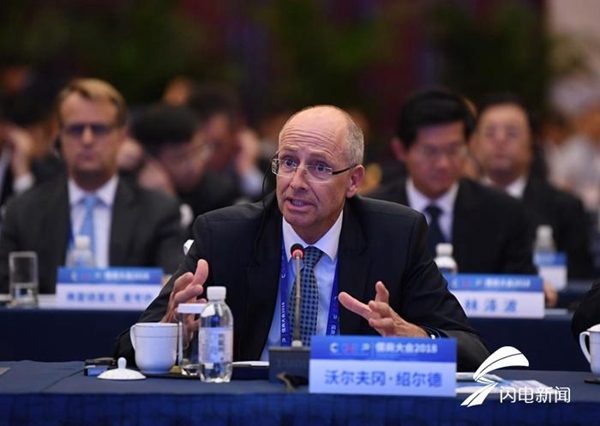 Mr Schoder also said that he expected to see more H135 helicopters being used in various fields, such as rescuing the injured, assisting with public security, piloting ships in ports and providing live television coverage of major events in Shandong province. He is looking forward to witnessing the H135 helicopter becoming an important part of the China's aviation industry in the future.